NHOA's certified ombudsmen advocate for residents of central Kentucky long-term care facilities. They resolve residents' complaints about quality of care, food, cleanliness, and other issues. They also look for and teach families and staff how to recognize and prevent physical, emotional, financial, and sexual abuse. Many times, ombudsmen simply sit at the resident's bedside and listen. 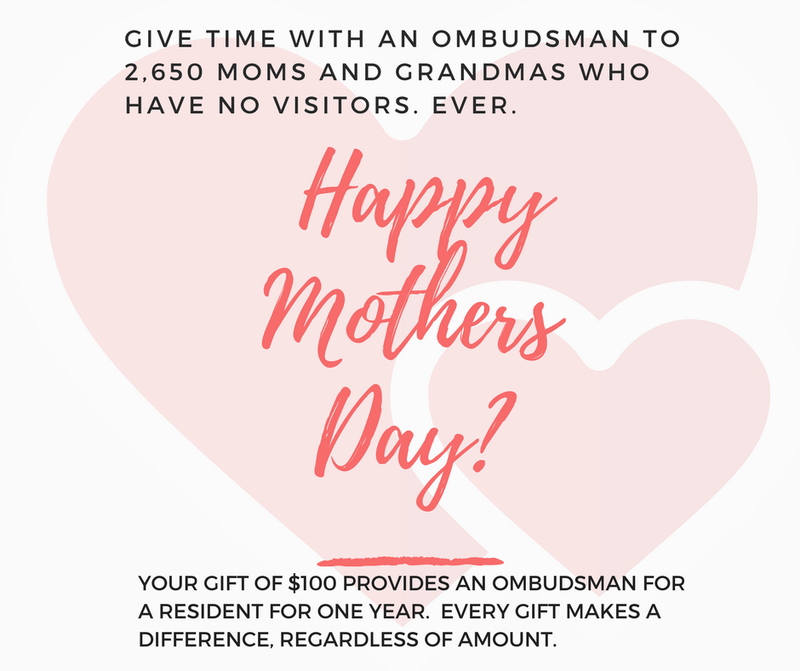 For thousands of seniors who have no visitors and no one looking out for them, the ombudsman becomes a trusted confidante and sometimes, a life saver. It costs $100 to provide a year of ombudsman services to an elderly, disabled resident of a long-term care facility. The Nursing Home Ombudsman Agency of the Bluegrass thanks the many compassionate individuals whose generosity make these services possible.